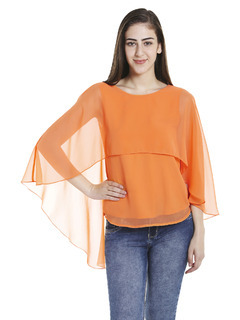 This top is the perfect choice for a nice date or movie night. 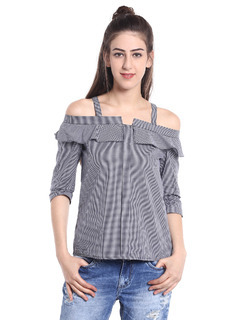 I love the pleated effect that?s given in this top that makes it so stylish. Accessorize with: A pair of dark denims and pair of tan strappy heels and a silver watch. Carry a black sling and add some stud earrings to complete this chic look. Keyhole in the back with a button for fastening and ease. Her Style: Glamorous and edgy! Her Secret: She plans to take a sabbatical and travel Asia for a year.